Andrea Margiotta, who graduated May 2015, followed along on her marine science path by taking a job with the SC Aquarium as an Education Interpreter. Andrea started at the Aquarium right after graduation and as an Education Interpreter, she presents educational shows for guests, leads classroom and outreach programs, and assists with program development. 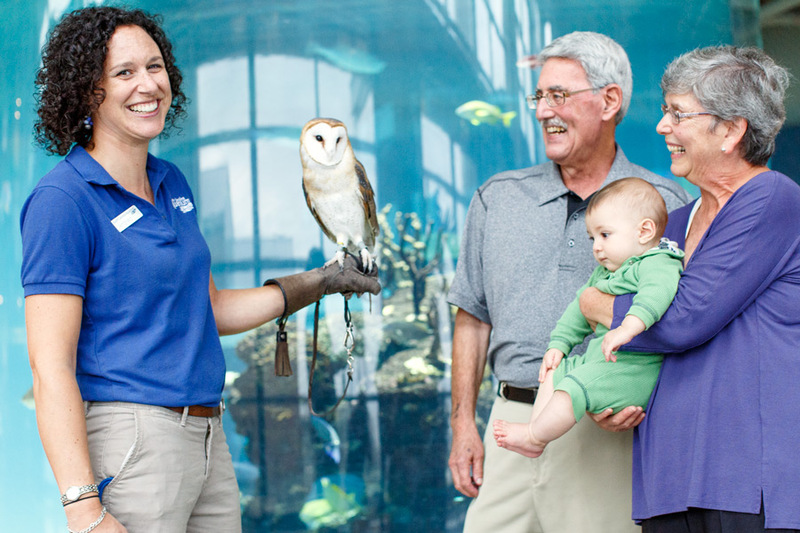 Below is the photo of Andrea that was recently posted on the Aquarium’s Career webpage, holding “Pippen the Barn Owl”! Grice Marine Lab and Erik Sotka’s lab team welcome visiting scientist and intern, Glauco Barreto de Oliveira Machado. 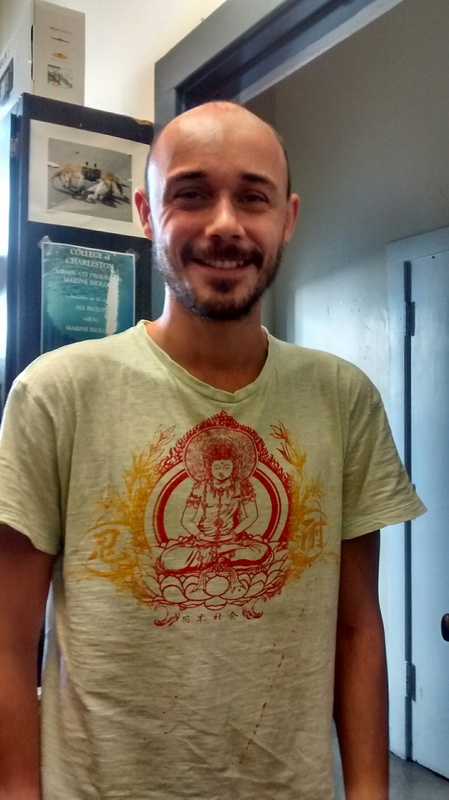 Glauco is a Ph.D. student in Ecology at University of Campinas, from Brazil. He has been studying the association between small herbivores and macroalgae. Specifically, he is interested in understanding how and what factors drive this interaction. While getting his Masters, he studied the association of two herbivorous amphipod species with the brown alga Sargassum, and its epiphytes by investigating the importance of these algae as food for those consumers. Currently, he is interested in understanding the role of predation on that small herbivore-alga interaction, as well as studying the role of nutrition of herbivorous amphipods on their interaction with algal hosts. 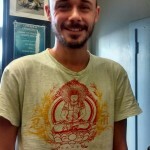 Welcome, Glauco!